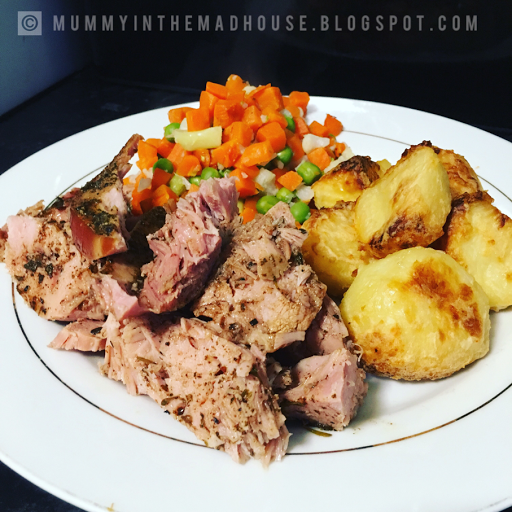 This Diet Coke Gammon I cooked using my Slow Cooker, this has blown my mind so I just had to share it with you guys. As I have blogged in a previous post I've been very poorly but my body craved a healthy & substantial meal, ready-made & takeaways (I know naughty me!) have taken its toll on me. So this recipe was perfect as it only took 5 minutes to prep, the slow cooker did the rest of the work. Totally melt in your mouth & the meat just pulled apart after 9 hrs of cooking. I know it seems like a long cooking time but I put this on to cook 1st thing in the morning & by the time it was dinner it was ready! 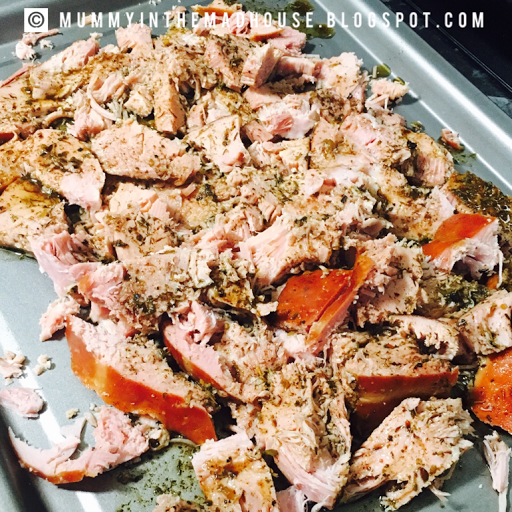 Remove all visible fat from the Gammon Joint with a sharp knife & place the Joint in your Slow Cooker. Add all the other ingredients & set the Slow Cooker to Low for 9-10hrs. Place on a baking tray & shred using a Knife & Fork, use a ladle to scoop up the cooking juices & pour over the meat. And that is literally it! How easy is that?! Serve it with any food you like, I teamed mine up with Home-Made Roast Potatoes (cooked in Fry-Light) & Mixed Veg.